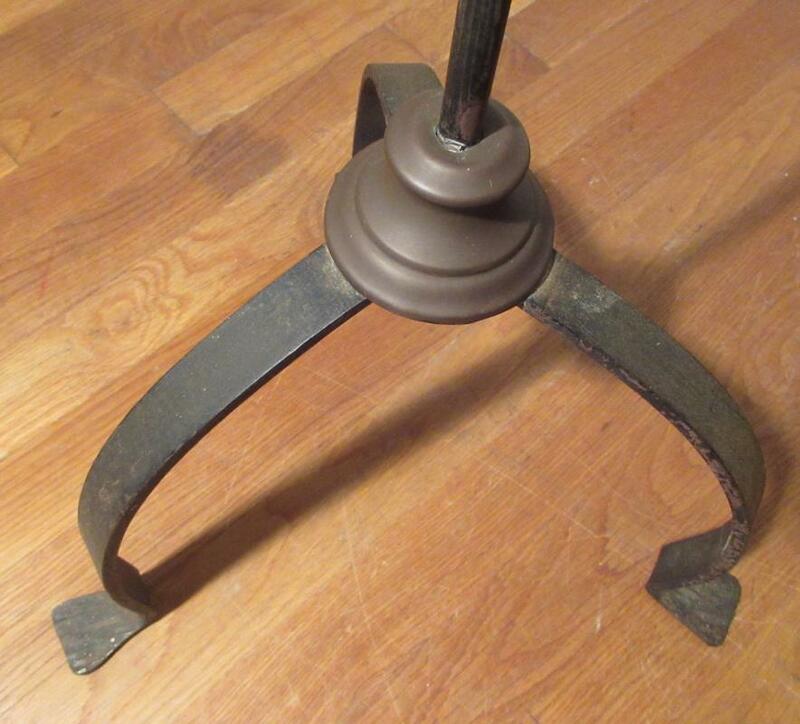 A primitive, 1800s farmhouse Floor lamp. 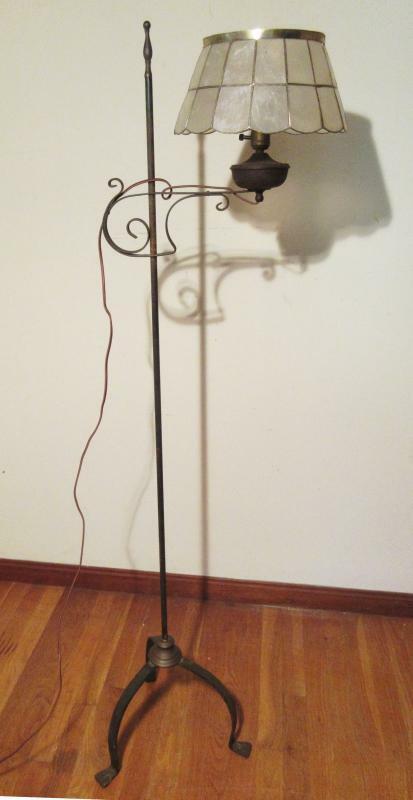 Wrought iron with a three leg base. 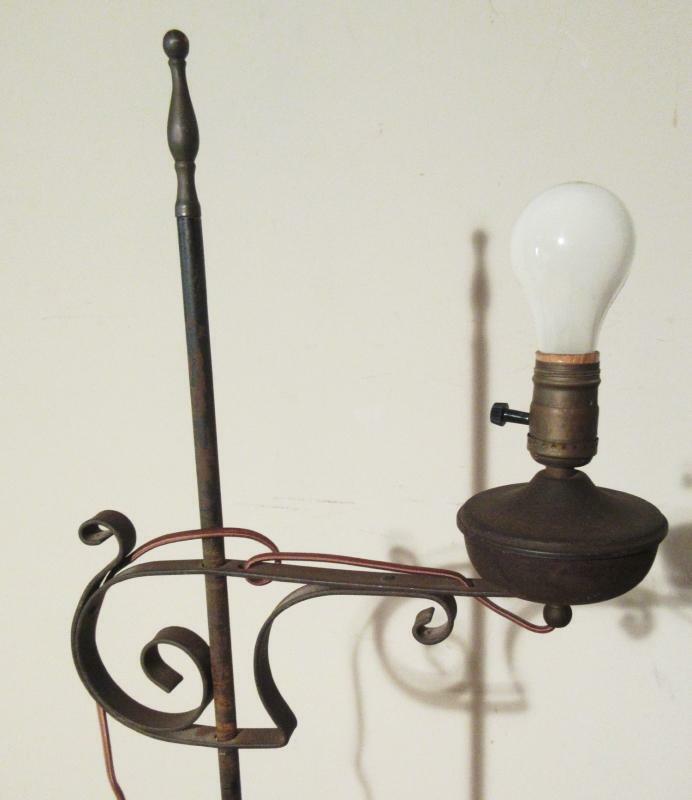 Was probably converted in the 1920s to electric. It still has the original oil reservoir. 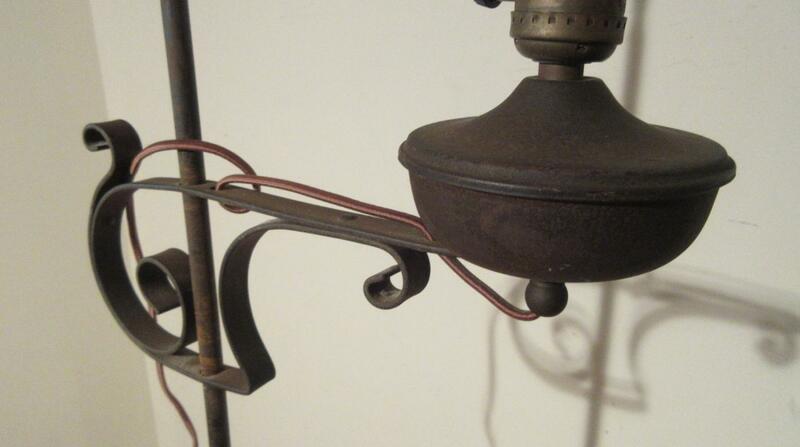 It still works with the cloth covered wiring, but you might want to replace it. 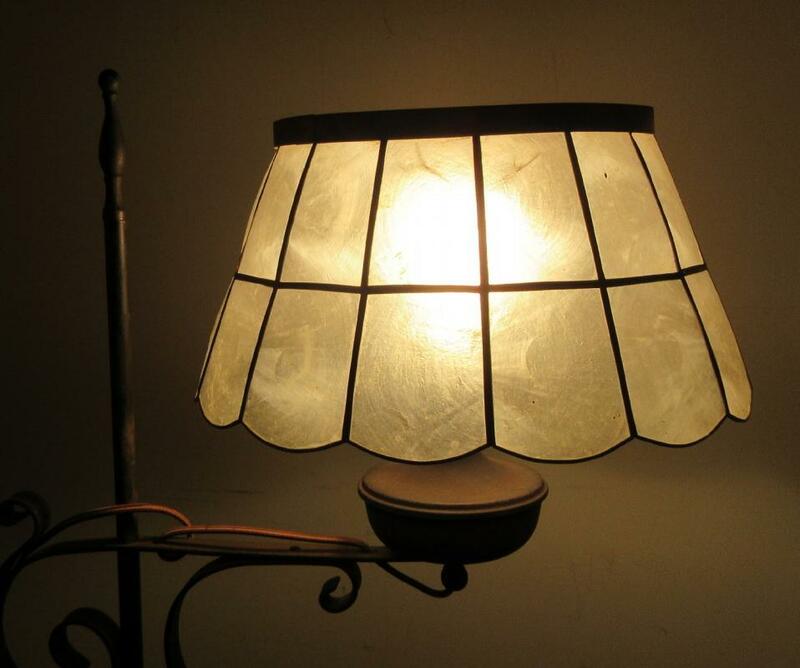 We’ve added the cadiz shell shade. 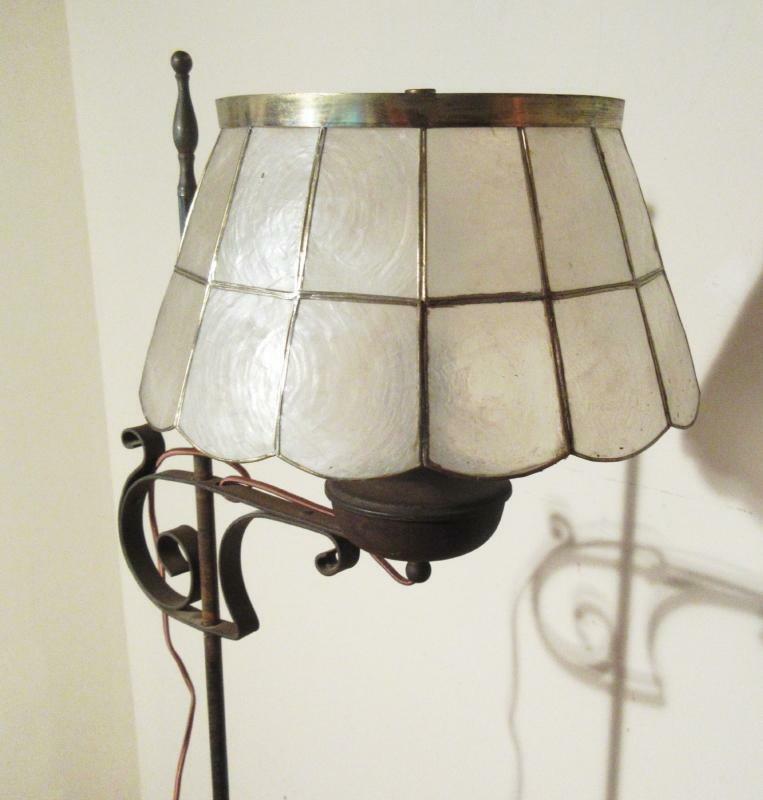 Overall excellent condition with period wear and patina consistent with age and use but no serious damage or repairs. OVERALL SIZE IN INCHES: 63 high x 14 diameter base.